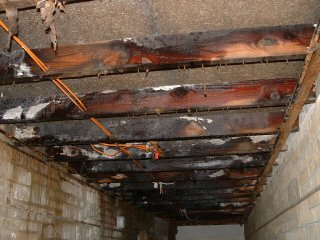 Is my property suffering from dry or wet rot? 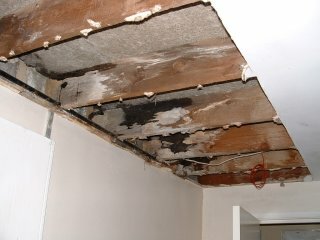 Both dry and wet rot are very destructive in homes, buildings and structures, dry rot causes the most degradation whilst wet and soft rot normally confine themselves to areas where there has been persistent water ingress, below are some symptoms that may suggest you have either dry or wet rot infections occurring. If you have noticed any of the above symptoms please get in touch with us here at Cotswold Treatments. True Dry Rot (Serpula Lacrymans) is the most destructive of all the causes of degradation in buildings, homes and structures, its cure and prevention requires in the first place expert diagnosis and a wide knowledge of building construction, particularly in older buildings. Wet and soft rot infections (of which there are numerous species) can be as detrimental to structures as True Dry Rot but these forms of decay are normally confined to areas where there has been persistent moisture ingress, even so the correct remedies are essential. We have the expertise and knowledge required to carry out the complete work from exposure of the infected areas to their final reinstatement.